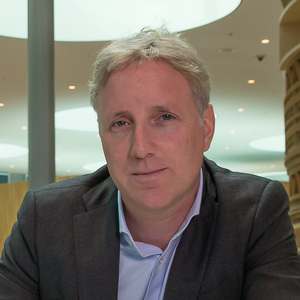 Finbar Hage is global head of Data, AI and Analytics within Rabobank. His roots are digital. Having been commercially responsible for a digital B2B platform with Reed Elsevier, heading MoneYou the first fully Digital Bank in the Netherlands and being responsible for Ecommerce at travel company Thomas Cook. At Rabobank Data & Analytics is part of the Digital Transformation Office. Driving digital change in the bank.